Bride Of the Month - November! 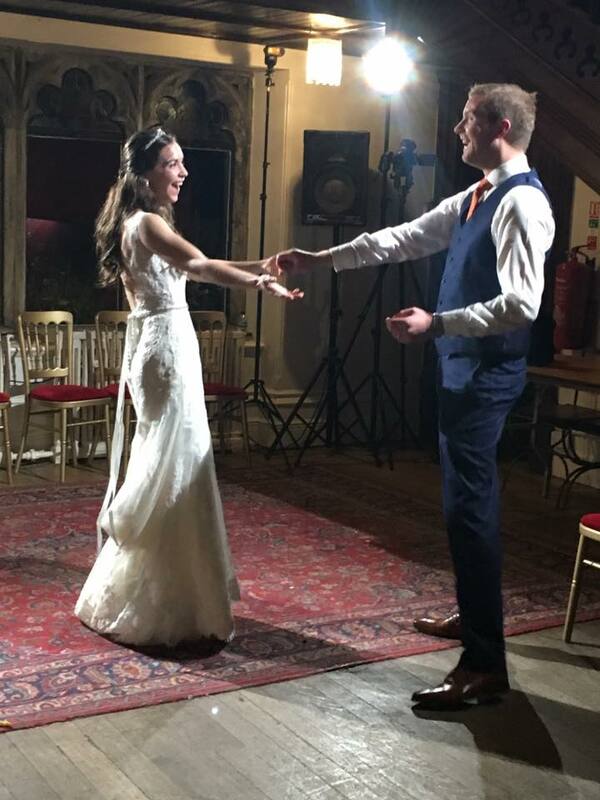 "In April this year I planned a weekend with my mum, mother-in-law and three bridesmaids – we booked appointments at Cheadle Bride and one other shop, and I had no expectations that I’d find what I wanted. It was just a chance to get the girls together and have some fun, and I fully anticipated going to fairs and sample sales on my own afterwards. I think I tried about 10 or 12 different styles at Cheadle, and Catrin was amazing at making the day feel special but also staying objective. She read my facial expressions and responses to the different dresses and made new suggestions based on the way I was responding – her intuition definitely paid off! I didn’t have that ‘The One’ moment on the day, but kept thinking about the Alfred Angelo Amelie dress in the week after the appointment. The ladies at CB let me come back twice to swan around in it for half an hour or so whilst I made up my mind. It turned out to be fairly different to what I’d thought I’d wanted – instead of sleeves I had straps, instead of a high front I had a v-neck – but in the end I couldn’t imagine wearing anything else. We had a bit of drama as the week my dress was meant to be delivered Alfred Angelo went bust. I spent an anxious hour waiting for the call but miraculously mine was one of (if not the!) last AA dress to arrive at the shop. I’m so grateful to Catrin and Gwen for keeping me calm when I know you were dealing with a lot yourselves! CB recommended Moira to me to do some alterations, and she was fantastic even when I called her up with one week till the big day for some more tweaks. Our wedding day was simply perfect. In the DIY venue of Hargate Hall in the Peak District, it was completely relaxed and laid back. Walking down the aisle (to the Jurassic Park theme tune!) I felt so proud and happy, and couldn’t stop giggling through our vows. Simon was blown away by the dress, and guests kept saying they’d never seen such a beautiful gown. My advice to any future brides is on the day just forget about everything you’d planned and enjoy the moment. Take two minutes after the ceremony to have a glass of fizz with your new husband and soak it all up!"